Love watching TV from the comfort of your own bed? Then this is the solution for you! 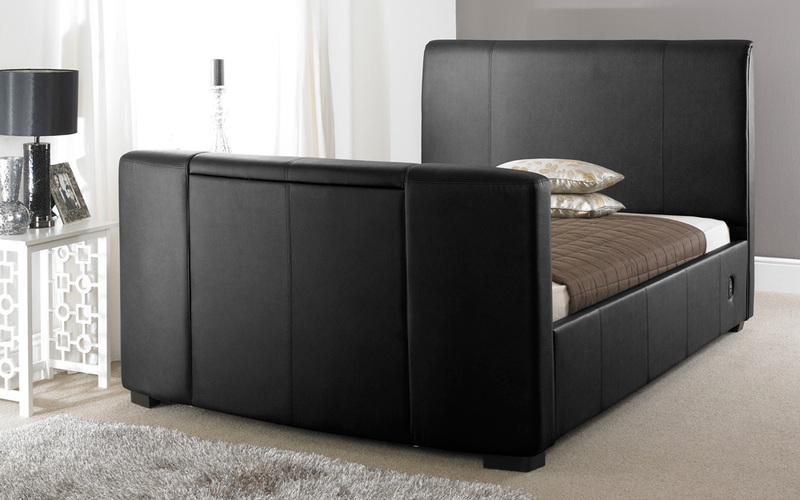 Perfect for TVs up to 32″, this faux leather bed features a sprung slatted base, a media storage unit and sturdy TV bracket to create a remarkably stylish, durable and practical bed.